Matt is a leader, entrepreneur, and innovator with 15+ years of technology experience in design, architecture, management and implementation of SaaS products. As a co-founder and CTO for over 10 years, Matt built and managed large global teams that define product requirements and translate critical business objectives into scalable and extensible technology products. Matt began his work in mobile technologies over 12 years ago (predating modern smart phones) by designing and developing ground breaking and patent pending product solutions for mobile applications for the real estate industry. He has also built and scaled ERP/CRM, PMS, VoIP, Big Data, and other SaaS systems – and has extensive experience with both waterfall and agile Software Development Life Cycle methodologies. 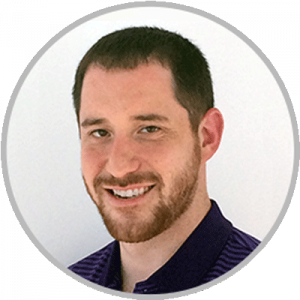 Matt’s role at Phunware is to direct and manage all product management and platform engineering efforts across the organization. Matt studied at DePaul University and resides in Austin, Texas with his wife Claudia and their three children. Thank you for your interest in the PhunCoin Whitepaper. A copy can be found on CoinList for verified purchasers or you may request a copy by contacting Randall Crowder: rcrowder@phunware.com.